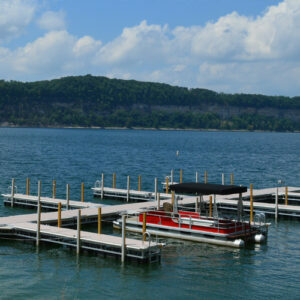 For over 80 years, boating enthusiasts have trusted Metal Craft Docks for their aluminum boat dock and pier needs. 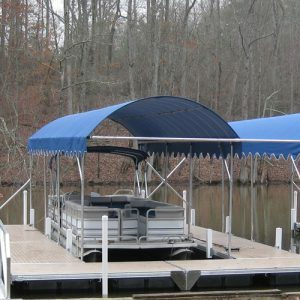 Our low weight dock construction and patented, interlocking deck design requires minimal maintenance, provides lasting beauty and decades of hassle free use. Deck surfaces maintain an ambient temperature with provisions for water run off so you can enjoy a comfortable and safe walking surface. Metal Craft Docks are made from 100% aluminum for effortless handling and little to no maintenance unlike comparable dock systems made of wood, plastic or steel. Deck modules are available in four widths: 3’, 4’, 5’ and 6’ and three standard lengths: 10’, 12.5’ and 15’. Custom lengths are available upon request. When you purchase your aluminum boat dock from Metal Craft Docks, you are making an investment that will last a lifetime. Metal Craft Docks stationary piers are made entirely of aluminum structural components and marine-grade stainless steel fasteners. Our low weight stationary docks are best used in water up to 7.5 feet deep with minimal water level variation. Stationary aluminum piers are modular making them easily removed and reinstalled every season. Low weight floating piers are best suited for water levels of 7 feet or greater with water levels that fluctuate throughout the season. 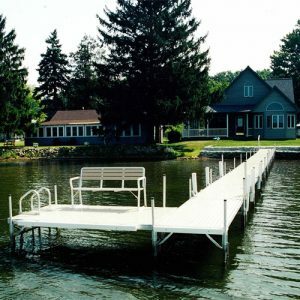 Metal Craft’s aluminum floating docks are made from the same aluminum structural components and stainless steel fasteners as our stationary piers and include polyethylene encased flotation making them environmentally safe. Metal Craft heavy duty docks are made with the same components as our stationary boat docks and our low weight floating piers with the added feature of an aluminum frame for added support and rigidity. Aluminum frame docks are best suited for rough, demanding water and in areas where water levels fluctuate greatly on a daily basis.